In this week’s Friday Fundas I chose to discuss an interesting part in a movie or something the producers look for in a script. This is called Money shot or a Payoff shot. Originally the money shot was a term referred to the shots for which maximum money was spent. This term was mainly used in the pornographic movies. However later this term was used for mainstream genre of movies and also changed its meaning to relate to the shot in a movie which had the most commercial value of the movie. This is the shot after seeing which the audience says “Paisa vasool” (worth the money spent). This has also become a standard practice when reviewing a script the producers look for the money shot which usually is the most dramatic part of the movie. This need not be restricted to the shots with the greatest special effects. Also this shot need not occur in the climax of the movie. Let us look at some of the examples, in the English movie Avatar the sequence in which Jake connects his mind to the Toruk is the most high point of the entire narration and this would be the money shot of the movie in my opinion. In the English movie swordfish the bomb blast scene is a very well shot scene and it is the money shot of the movie. This also applies to Indian movies as well. In the Hindi movie Zindagi Naa Milegi Dobara the sky diving scene of the 3 friends is the money shot of the movie. 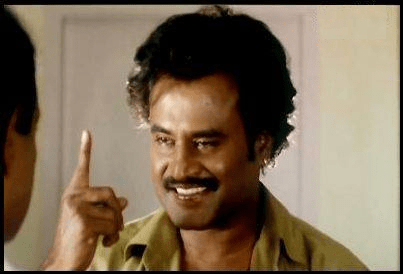 In the Tamil movie Baasha the medical college sequence is the money shot of the movie. This shot occurs in the first half of the movie. This does not have any great visual effects but the high point in utilizing the potential of the star value of Rajinikanth makes this one the money shot of the movie. Identifying your money shot in the movie is very much important. Every successful movie has a money shot, but every movie with a money shot need not be successful as the success depends on the entire movie and the money shot being the highest point of the movie which elates the audience.